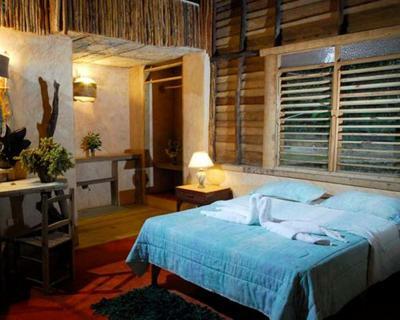 Lock in a great price for Paraiso Caño Hondo – rated 8.4 by recent guests! Our family of four adults and four children stayed at Caño Hondo for two nights. We totally loved the rooms and the overall design of the resort. We also enjoyed the area: awesome view of the bay, many natural attractions, very good roads, beautiful beaches... Totally worth the loooong drive! Getting there is sheer HELL. In hindsight we should have driven to Samana taken the people ferry and contacted the hotel to have one of their tour people like Juan Carlos pick you up. Once you get to the hotel you and your car refuse to take the 9 kilometer ride to the entrance to Los Haitises. Staff was fabulous. Room was new, spacious, clean, and had 4 beds (with good mattresses). Pools were very beautiful and fun. The kitchen was great - I especially loved the Asopao. Their dogs were a lot of fun with the kids. We loved mixing it up with an excursion to the Taino caves one day. Our boat (which was arranged at the hotel) had no two groups from the same country. That was fun! Can't beat the view! Staff friendly. Need an elevator to top floor😄😄. Great place. Clean. Very professional but friendly. Food was good. We had Typical Dominican. Great falls. Lovely place to stay. Incredible property, lovely staff. The most relaxing. 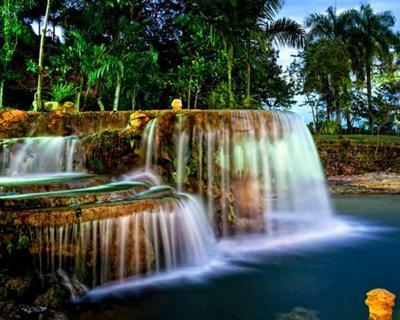 They have a lot of pools and waterfalls, the architecture is out of this world. 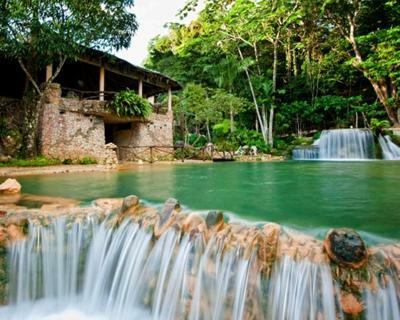 beautiful setting next to river and pools of natural water. The hotel being built into the side of the mountain. Great views. But be careful, there is another set of rooms in a stand alone structure. Beautiful location! Long way to go on a rough road for the last 30 minutes, but wonderful when you finally arrive. Best to stay for at least 2 nights because of the road. 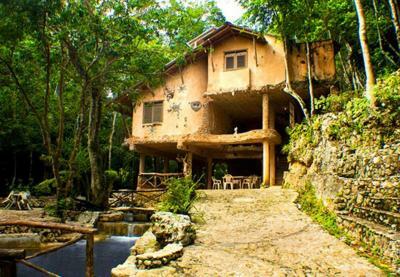 With 11 natural pools, free Wi-Fi and parking, and complementary breakfast, the isolated Paraiso Caño Hondo eco-lodge in the Los Haitises National Park offers guests a nature escape. The lodge’s rooms feature wooden floors, a desk and chair and ceiling fans. They also feature a bathroom with a toilet and shower. The lodge’s El Cayuco restaurant and Don Clemente restaurants offer views of the Samana Bay and San Lorenzo Bay and serve traditional Dominican food for breakfast, lunch and dinner. 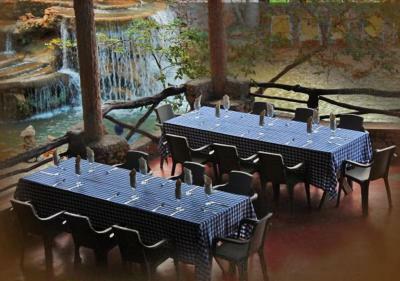 Guests can also enjoy activities such as hiking, horseback riding, canopy, rock climbing and kayaking within the park. 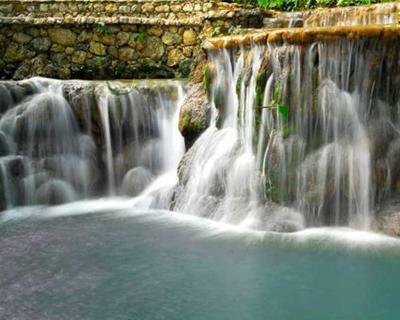 Paraiso Caño Hondo is located 5.6 mi from the town of Sabana de la Mar and 99 mi from the nation’s capital of Santo Domingo. Las Américas International Airport is 2 hours and 30 minutes' drive away. When would you like to stay at Paraiso Caño Hondo? Decorated in a rustic style with elements native to the area, this room features 2 full beds, hardwood floors, a ceiling fan, private bathroom with hot water and room service. The rooms also feature free Wi-Fi. This room has a private bathroom and views of the river, garden and pool. House Rules Paraiso Caño Hondo takes special requests – add in the next step! Paraiso Caño Hondo accepts these cards and reserves the right to temporarily hold an amount prior to arrival. It advertises natural pools. These are cement pools with natural spring water pumped in. Which would be fine if the pools weren't cloudy and muddy. The restaurant service is quite slow in the mornings; staff gets to the hotel at 8:00 a.m. and then start making breakfast. If you want to go on an excursion (or wake up really hungry), be prepared to wait. The first night our toilet got clogged and asked the staff to fix it. There was water (from the toilet) all over the bathroom and it was not properly cleaned. Totally disgusting, especially when traveling with children. Finally, when checking out, we were charged at a much higher exchange rate (RD$51 for US$1, instead of the current rate of RD$50.51). This did not seem fair. Not one thing!!! Although visitors do need to accept that the ride in will be over very bumpy, difficult roads, whether you drive or are driven there. All part of the adventure that is this lodge! 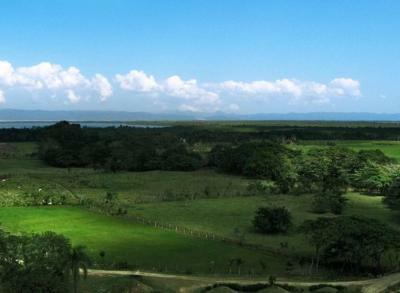 Paraiso Cano Hondo tells you what it will be by its name...paradise, plain and simple. Or paradise, grand and golden. We were hoping for something special, and the place exceeded all expectation. 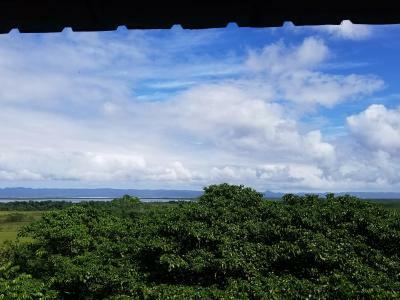 It's built into the side of a coral and ivory mountain--when you swing open the doors of your rainforest retreat, onto your very own private balcony, you are looking miles out to the bay and are higher than the birds flying by. It's a view unspoiled by any human factor. You feel like you're staring at forever. The suites are spacious and comfy with wonderful beds and white linens and terra cotta showers with endless hot water. Not that you'll need it since you'll be fresh out of swimming in one of the dozens of stone-floored pools of sparkling clean river water connected by waterslides and underwater bridges. My kids slid down the natural water slide for hours! Exhausted from the swim, we feasted on the food prepared by the thoughtful staff--delicious, humble, plentiful specialties of the region. Ask for the coconut in dulce de leche! The juices are especially refreshing after a swim or cave tour. 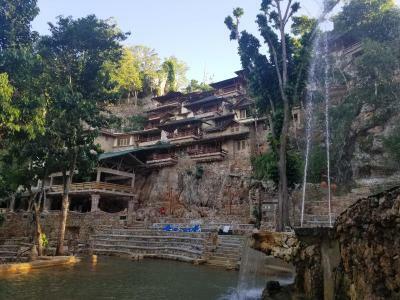 We took a boat ride through the mangroves, where bird watching is world class--herons of a brighter blue than parrots up close--and saw 700 year old paintings on the walls of the caves, articulately explained to us by a local guide arranged by the resort. We could've stayed here twice as long--and are already hoping to come back! Price is for 2 person, additional person will pay extra room fee, so pricey than expected - we have 3 person including a teenage. Booking states the room has 2 Queen beds but did not mention just for 2 person. The picturesque pools/falls/water features are created by routing the river, which makes them silty (and ??) and less inviting for swimming although they are cleaned out a couple of times a week. Very unique place with the cliffs being one of the walls of many of the rooms. Beautiful setting, views, pools, and buildings. We enjoyed the zip line and the nearby Los Haitises National Park. Everything went fine until the checking time. We're family of 4 with two kids. When we booked the hotel online, we booked one room for 2 adults and thinking we could pay 4 person for one room at the hotel. We were given a room with 4 beds, one full size and 3 single beds. Pretty much every room there can host 4 people easily. But at the check out, they insisted us to pay two rooms because we only booked one room for 2 person, we had to pay for another room for the extra two person even though we only used one room. I told them that we would pay for the two extra kids but want to know their rate for extra person in the same room. They insisted that we should pay for the amount of money that is about the cost of two rooms there. A lot of time was wasted trying to make things clear with them. We ended up paying $120 for two persons where the other hotel in Santo Domingo only charged us $10 for the two kids. The hotel was lovely and the building and rooms were quite unique. The view from the room were nice. Food. Please!! Complete no diversity, especially on breakfast. "We don't have that sir, sorry, no also no that..." WiFi. Somebody probably heard about it but was not working. I really loved the place but you have to provide more differentiated food. I Love this place. It's beautiful and quite surprising. Very unusual. Quite quiet out of season. At the time of our stay there was few rainy days and we haven't much activities there - no bilard or pingpong table etc. Everything was awesome - beautiful room, neighbourhood and views from the terrace. The food was pretty bad especially if you are a couple of vegetarians like we are. The only fruit juice available was passion fruit although alto cano hondo 10 mins walk away had at least 5 fruit juice options! There was only one person from the entire staff on the property who spoke English so all the best if you don't speak any Spanish. Overall, the staff didn't seem very motivated or helpful, for instance no one really told us about some nice trails around the hotel, it was up to us to discover it all ourselves though it does lend an air of adventure to it all. No wifi in the rooms, just very basic wifi in the reception area. 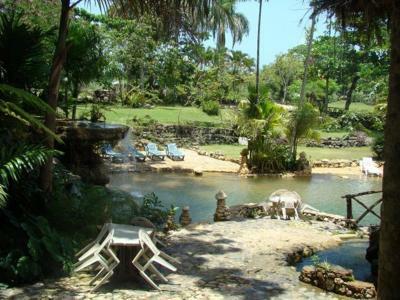 The location is amazing though quite a distance away from the town Samana del Mar so account for an extra 20USD by taxi on a dirt road to get here. The room we got was great and with a breathtaking view though it was on around 7th-8th floor without lift so you need to be prepared to climb up and down at least 2-3 times a day. There are some nice trails around there and you can even hire horses for 3 USD per half hour per person.